"Streets of San Francisco" as painted in Michael Rodman's Cityscapes. Please take a moment to visit and LIKE my FB Fan Page. Hunters Pt. Navel Shipyard, Bldg. 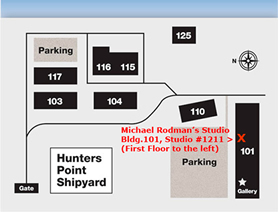 101 Studio #1211, 11 to 6pm. Join us at my 12th FALL Open Studios event for my new oil paintings. 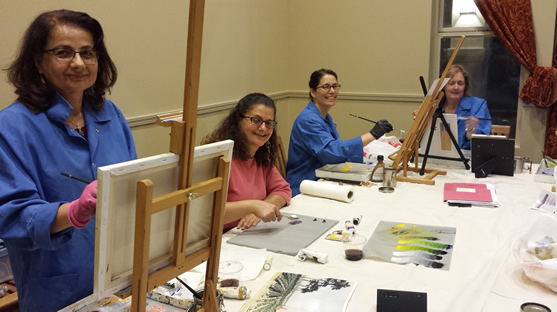 Join us for a fun Beginning Oil Painting class at Brisbane Mission Blue Center. We focus on taking your current painting level to the next step with individualized instruction. First time oil painters are always welcome! Please email me for more details & Materials List. This fun class fills up FAST. We can add you to the Waiting List for future classes. Please email me if you want to join us. Thanks for your continued support. On Aug. 31, 2013 at America's Cup Park, Pier 27/29. I was invited to paint "plein air" by America's Cup organization at "Art in The Park". It was a great day and I painted 2 new small paintings. *** Give that special person in your life, the unexpected gift of "Original Art"
for a Birthday or special Anniversary. Commissions are Welcome! rain and winds permitting. 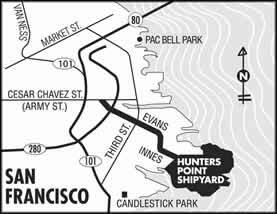 Call 415-286-3707 for directions.